A new study just out in Science attributes the unusually active 2017 Atlantic hurricane season to tropical Atlantic warming. Furthermore, it attributes that warmth to human-caused climate change (a combination of increasing greenhouse gas concentrations and sulphate "aerosols" from industrial pollution). 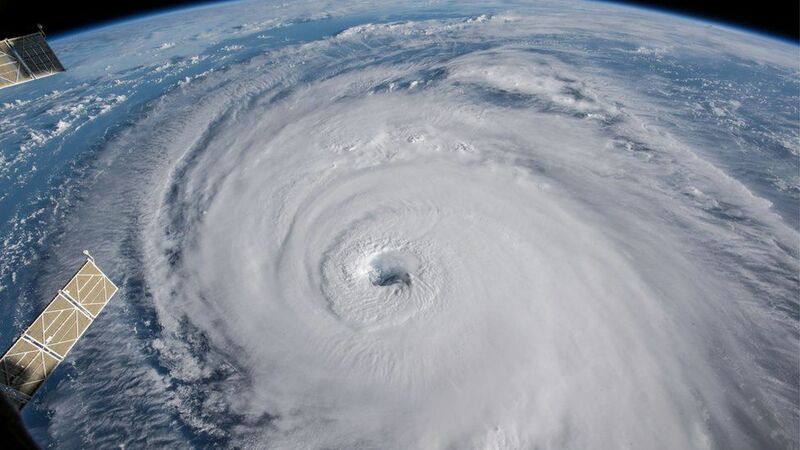 The study is based on a single climate model, but at least in terms of their bottom-line conclusion, there is evidence from independent approaches and across an entire suite of climate models that increases in various measures of Atlantic hurricane activity can be attributed to human-caused climate change. While I have great respect for the authors (including co-author Tom Delworth who is a good friend and a collaborator) and view this as an honest and worthwhile research effort, I differ with them when it comes to their specific claims. For one thing, the authors attribute certain trends to a natural internal model of climate variability known as the "Atlantic Multidecadal Oscillation"--a term that I coined nearly two decades ago based on my scientific collaboration with Tom Delworth. My co-authors and I have published a number of articles recently demonstrating the spurious attribution of trends to the AMO in studies that, like this one, use an overly simplistic (and flawed) index to define this mode of climate variability. More significant, however, is their assertion that it is the relative warming (i.e. how much the tropical Atlantic is warming relative to the global average tropical temperature, that is to say the relative change in Sea Surface Temperature or 'SST') rather than the absolute warming of the tropical Atlantic (which is now more than 1C or ~2F), that is relevant to understanding tropical Atlantic hurricane activity and trends therein. Based on the "relative SST" argument, these authors and their collaborators at the Princeton NOAA Geophysical Fluid Dynamics laboratory have predicted that future greenhouse warming will lead to fewer Atlantic tropical storms, whereas other groups have found the opposite, i.e. both stronger and greater numbers of Atlantic tropical cyclones. Does the relative SST argument actually, if you will forgive the pun, hold water? The critical processes involved in the energetics behind tropical storms are "non-linear" in nature--in particular, the amount of latent heating of the atmosphere resulting from evaporation of surface water increases exponentially with SST, a result of the so-called "Clausius-Clapeyron" equation. Where you have non-linearities in the physics, you tend to observe thresholds, and in the present climate at least, there appears to be an SST threshold of at least 26.5C (80F) for forming tropical storms. Consider the thought experiment of an icehouse world where tropical SSTs are just above the freezing point say 1C (34F) everywhere but the main development region for Atlantic tropical cyclones, where SSTs are instead 5C (40F). That amounts to a relative SST difference of 4C, twice what was seen during the 2017 season. If the "relative SST" theory were correct, it would predict hyperactive tropical cyclone activity in such a scenario, something that is counter-intuitive at best and just flat nonsensical at worst. I challenge proponents of the "relative SST" hypothesis to test this in a climate modeling experiment. Heck, I'd be happy to collaborate with them in this venture . There is further reason to be skeptical about the "relative SST" hypothesis. For the past decade at Penn State, we have been making forecasts of seasonal tropical cyclone counts using a statistical forecast approach that performs as well or better than other forecasting schemes, including model-based predictions schemes (see this article by Kozar et al for the most recent review and description of our approach). The forecasting approach involves training a statistical model on key climate variables e.g. SSTs in the main development region ("MDR") of the tropical Atlantic for tropical cyclones and indices of the El Nino phenomenon, which influences how much vertical wind shear--which is adverse for tropical storm development--there is in the MDR in a given season. We tested the model in "hindcast" experiments to determine which combination of predictive variables yields the most skillful forecasts of actual seasonal storm counts. Among the comparisons we performed, we tested whether absolute tropical Atlantic SSTs or "relative SST" performed best in a predictive setting. We found that the former out-performed the latter in these tests. Now, let us consider the specific case of 2017, the year the authors examine in the new study. Our pre-season forecast using the Penn State statistical model with absolute SST was for 15 ± 4 named storms, whereas the statistical model using relative SST predicted 12 ± 3 named storms. The actual observed total of 17 named storms that season fell within the predicted range of the former but not the latter. Predictions using relative SST vastly underestimated seasonal Atlantic tropical storm activity for that year. So in short, while I agree with the authors of the new study that human-caused warming contributed to the high level of activity of the 2017 Atlantic hurricane activity, I attribute that at least partly to unusually warm tropical Atlantic SSTs overall, rather than the precise relative pattern of tropical Atlantic warming. Why does this matter? As noted above, the GFDL group has predicted fewer Atlantic tropical cyclones in the future from greenhouse warming based essentially on the "relative SST" hypothesis. Other researchers, such as Kerry Emanuel of MIT, instead predict more storms. It is important to know who is actually right because both the intensity and number of tropical cyclones matter from a societal impact standpoint. While it is the most intense hurricanes that do the most wind and storm surge damage and there is an emerging consensus that the strongest storms will get even stronger, recent events have reminded us that it only takes a single slow-moving minimal hurricane or tropical storm with record levels of moisture fueled by bathtub-warm SSTs, to yield catastrophic flooding impacts. Climate change appears to be favoring both of those ingredients, leading us to wonder how many more Florences and Harveys we will have to contend with in the future. It's important that we get the science right here because the stakes couldn't be greater. Follow Michael E. Mann on Twitter or Facebook to be notified of new blog posts, or subscribe by RSS.